Mexico, didn’t become the most popular expat retirement destination for U.S. citizens by accident. For decades, visitors from north of the border have traveled south of the border, seeking affordability, great tequila, fresh guacamole…and a slower pace of life. Even those who briefly visit for a suntan and a hangover often return, year after year, and many of those vacationers choose to retire here. Mexico is perfect for retirees. From Florida, or Texas, Cancún is less than a two-hour flight, so friends and family are always close. So beware: retirees in Mexico are advised to have a spare bedroom for all the family and friends that will visit. Some estimates indicate about 2 million U.S. residents have retired to Mexico. In fact, more U.S. retirees have chosen Mexico, above all other countries, to spend their retirement years. Using a complex, comparative matrix considering safety, health care, affordability, government stability, and a functional infrastructure, International Living selected Mexico as its number one retirement destination for 2017. It is impossible to paint any country with one brush and Mexico is no different. Like the U.S., Mexico is a nation of regions where climate, customs, expenses, attire, and food all vary, one from another, but as a rule, Mexico is a modern country. Paved roads, modern hospitals, a stable electrical grid and functioning Internet can be found almost everywhere. For retirees who meet the modest income requirement of about $2,100 monthly (based on current exchange rates), a permanent pensioner’s visa can usually be issued, within just a few hours. The process needs to begin in your home country/state by visiting the nearest Mexican Consulate. Once your visa has been issued and you arrive in Mexico, the second part of the process involves obtaining your national ID card. Mexico’s process is relatively painless. Life in Mexico can be very affordable. Generally, one can live a very nice life for about 30% to 50% of what it costs north of the border. Many couples live a very comfortable life for $1,500 to $2,000 a month, all inclusive. You can certainly spend more, and some people spend less. Life along Mexico’s Pacific, Gulf, or Caribbean coastlines costs more than life inland, as it does in all countries bordered by oceans and seas. That said, it is still significantly cheaper than a comparable life up north. From the Baja Peninsula and the gorgeous Pacific Coast, the Central Highlands all the way across the country to Mexico’s Caribbean coast and down the Yucatán Peninsula’s world-famous Riviera Maya…expats have built their retirement nests throughout this vast and wonderful nation. Many have gathered in some favored spots such as Puerto Vallarta, the southern Baja, the Lake Chapala region and colonial cities such as Mérida and San Miguel de Allende. 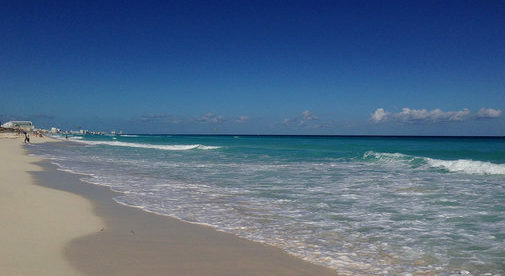 Others, preferring a more tropical experience, have settled along the Caribbean Coast from Cancún south to Tulum, an area known as the Riviera Maya. Each of these places has been well-vetted by those who have come before, and they continue to be magnets for those seeking an affordable and stimulating retirement. And if you’re one of those who would rather blaze your own trail than follow another’s path…Mexico offers thousands of square miles filled with unspoiled towns and villages. Honestly, the hardest part of retiring to Mexico is deciding which region, city, town or village best suits you and your lifestyle. Do you want a walkable village without the need to own a car? Perhaps Chapala, Ajijic or San Miguel would suit you. Think you might enjoy a larger, colonial city, filled with historic architecture and indigenous occupants? Consider Mérida, Valladolid or San Miguel de Allende. How about a Caribbean lifestyle closely connected to the sea? The Riviera Maya can’t be beat. Consider Cancún, Playa del Carmen, Tulum or the small village of Akumal. You can’t go wrong. What is required in order to apply for the permanent residency visa in Mexico?